What a week! A week ago today we stepped into our house with scrapers, paint rollers and power tools. We had a short time frame to get things somewhat ready for our movers to come on Friday. This week has been eye opening about the amount of community we already have in our new neighborhood. Austin put a call for help on Instagram Thursday night and people came! And stayed past midnight helping us! Isn't that crazy? The kindness of people in the midwest can be overwhelming sometimes. Help from our friends and family all this last week has already completely changed the main rooms of our house. The orange walls and yellow trim in the living room/dining room were painted Pure White from Sherwin-Williams and. it. looks. awesome. The ceilings look taller and has that historic 1900 feel to the room. 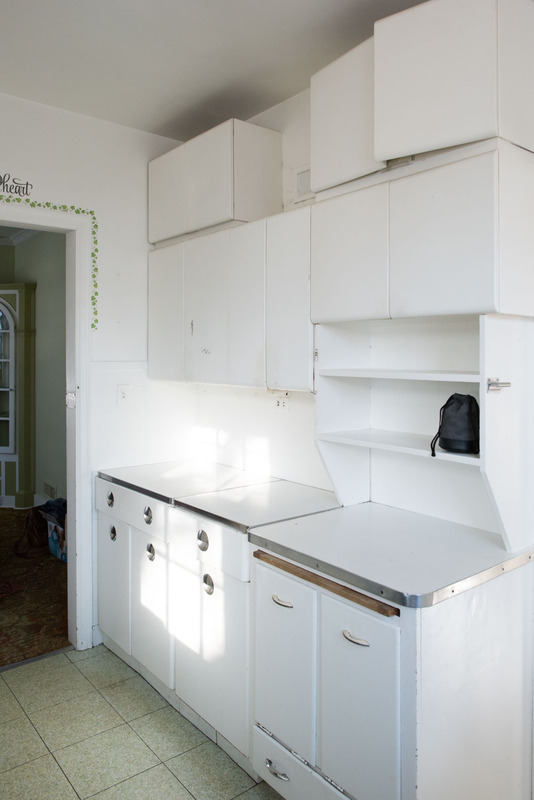 The kitchen cabinets were pulled down and move around. 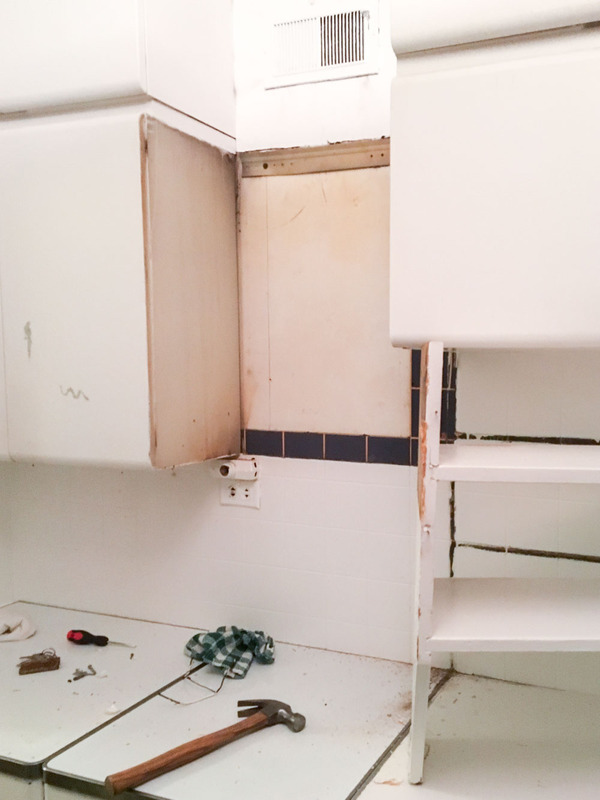 We are rearranging the existing modular metal cabinets to make the layout more functional. We got a new refrigerator from the Habitat Restore and I feel so fancy (even with the dings in the door). Two of the bedrooms were painted and our master bedroom was set up. I started moving my office over. I still need to the remove the wallpaper but that's not a priority right now. Austin's dad removed the gross, mildewy carpet from Austin's office and the linoleum from the family room. The entry way has wood paneling and is in the process of being painted. The wood soaks up the primer and the paint so much that we are on 1 coat of primer and 2 coats of paint and will need at least one more coat of paint. The living room and dining room are so close to being done and set up. We're waiting on a few gorgeous chairs from Article, we need to hang curtains, need to install a new light fixture and hang art. The goal this week has been to get the living room, dining room and master bedroom set up and livable so that the chaos in the offices, family room, kitchen and both bathrooms will be a bit more tolerable. We are so excited to share our progress with things. Here's a sneak at some of the work that's been done so far.